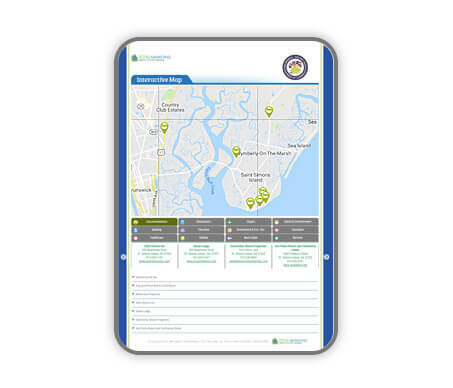 We use ArcView GIS software and can tie into your local 911 or GIS departments mapping data. 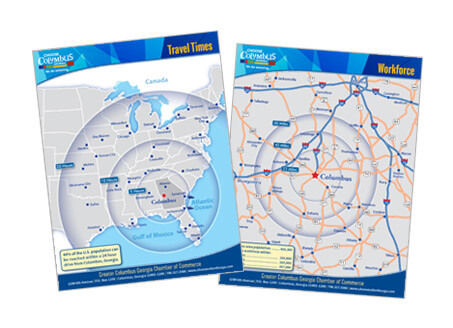 365 Degree Total Marketing’s programmers are the leaders in creating engaging, attractive interactive maps to share information on your region or location, allowing users to pan, zoom, and scroll as they explore your area. 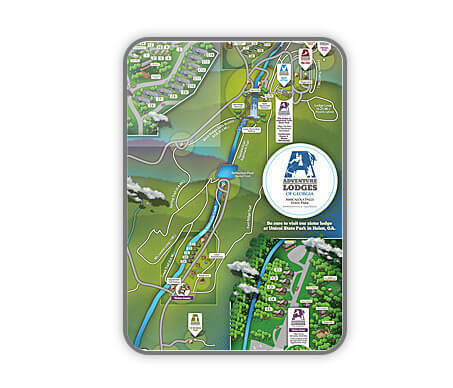 An interactive map helps your visitors find important locations, events or nearby landmarks. And, when you choose 365 Degree Total Marketing, your map updates externally, leaving you hands- and worry-free. That’s important because, over time, things around us change, and you have enough to do without having to make sure your map is current. 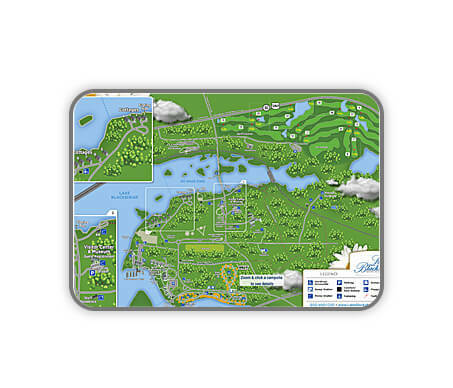 Interactive maps are a great way to present additional information. 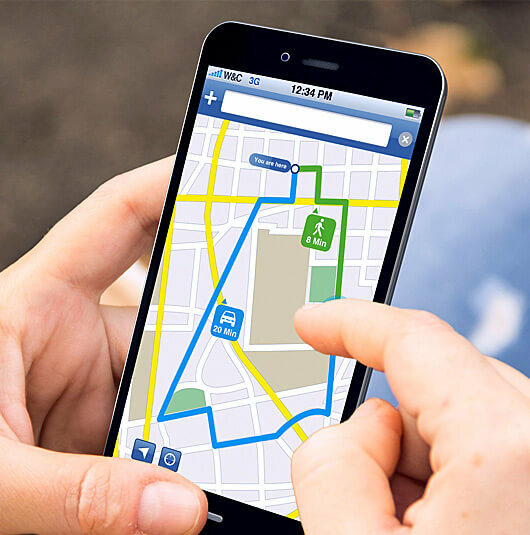 For example, 365 Degree Total Marketing can program your interactive map so that when a user clicks on a point, photos and other information can pop up. Consider how an interactive map can tell your story. 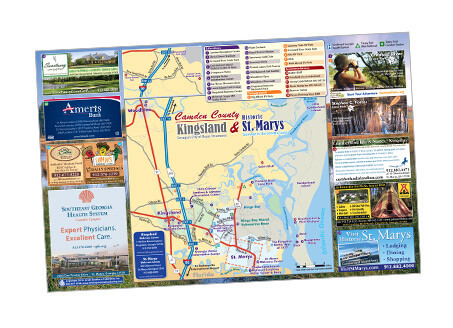 365 Degree Total Marketing’s interactive maps offer an additional way to showcase your sponsors. 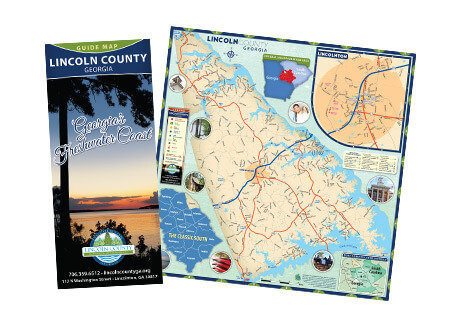 When users click on a sponsor’s name or location on the map, their printed ad can pop up next to the map, and can link to the sponsor’s website, thus encouraging continued support from those sponsors. Offering complete range of website design and development services for all markets and industries. Yes, I need an interactive map.